Last night I had some fun trying out a simple project. I was needing some more fun Valentine pieces for my booth at Aunt Bee's, so I put together this fun and simple banner! All it took was a small piece of felt, baker's twine, and some glitzy pom poms from the craft store. 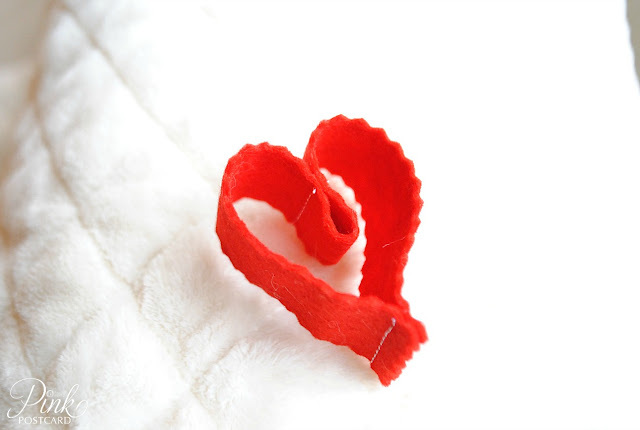 The three dimensional hearts start out as a folded in half piece of felt fabric. I sewed a straight line about a half inch from the folded edge of fabric. Then, I flipped the fabric out to the cut edge, and sewed another straight line. I cut one inch sections to make individual hearts with my pinking shears. 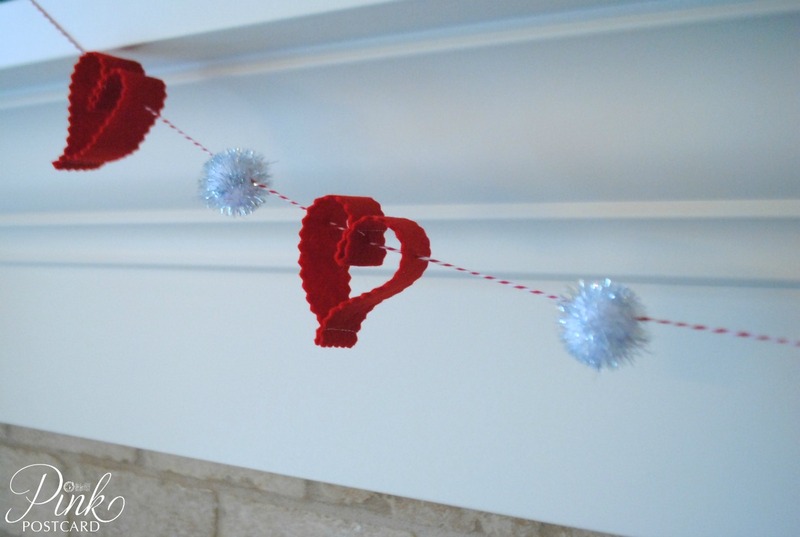 Everything was strung together with red and white baker's twine! So cute and fun! 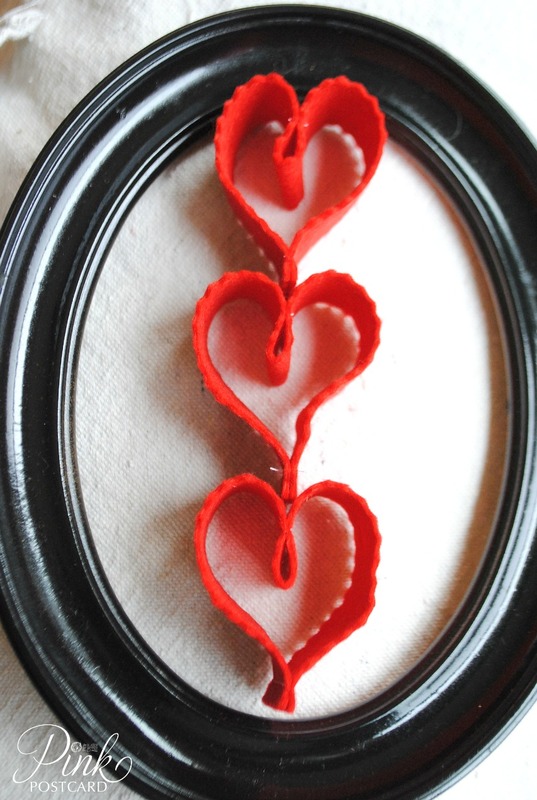 I could see all kinds of projects with these fun little hearts! They'd be cute stacked in a frame too, no? 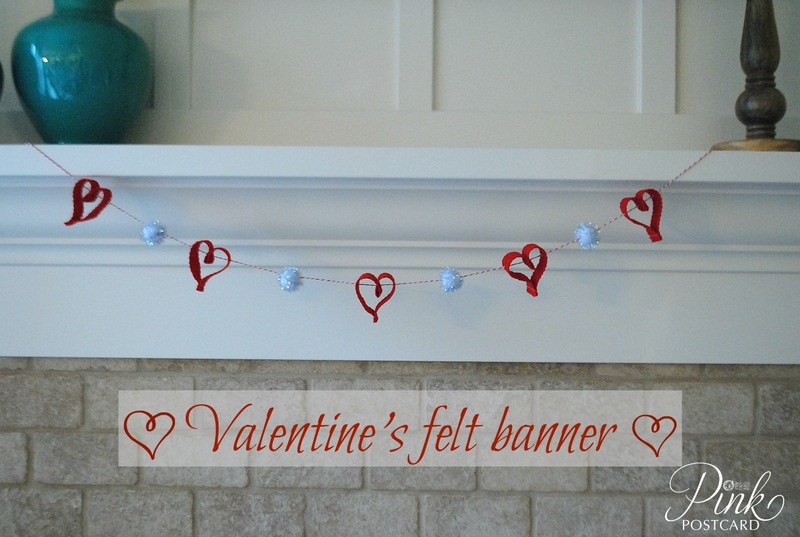 Hope this gives you some inspiration for some fun projects for Valentine's Day! Love these!! I've seen so many cute felt Heart Garlands on pinterest lately!! Very cute and "heartfelt" lol I couldn't help myself! Too cute! I love it - will have to show it to my 7 year old - she is always wanting to create with felt.